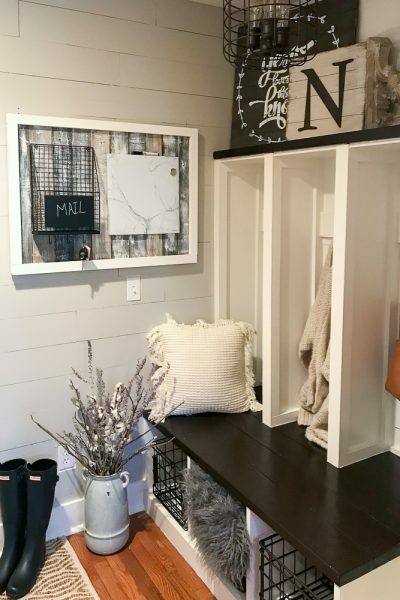 I’ve been working on the mudroom makeover this month and wanted to pop in here and share with you a super-easy way to update your trimwork. Our home was built in 2005 and I have slowly (but it’s happening) been changing out all of our builder’s-grade trim to Craftsman Trim. As I’ve updated/remodeled each room, I’ve also changed out the trim. 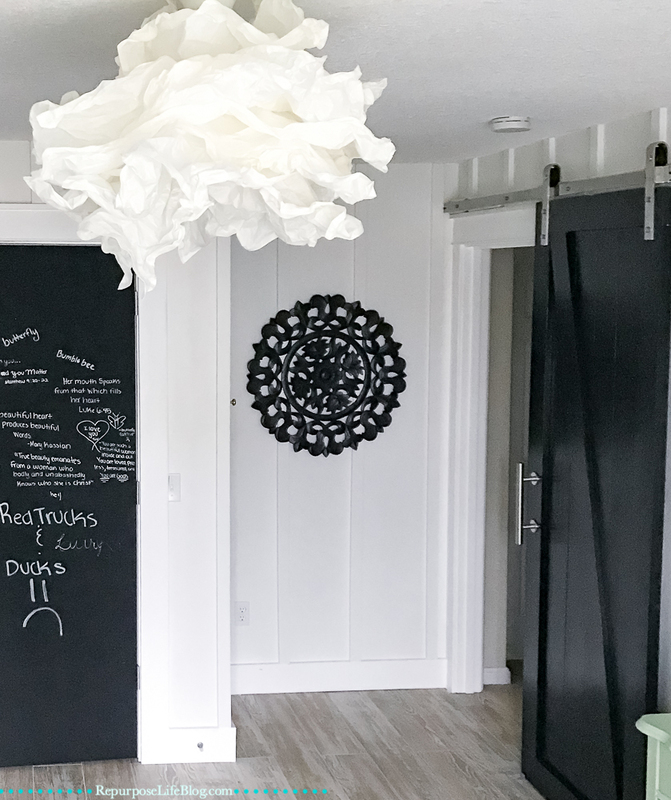 Here’s a sampling of the rooms I’ve already completed: hallway leading to kitchen, master bedroom alcove, guest bathroom, daughter’s bedroom, sons’ bedroom…just to name a few. 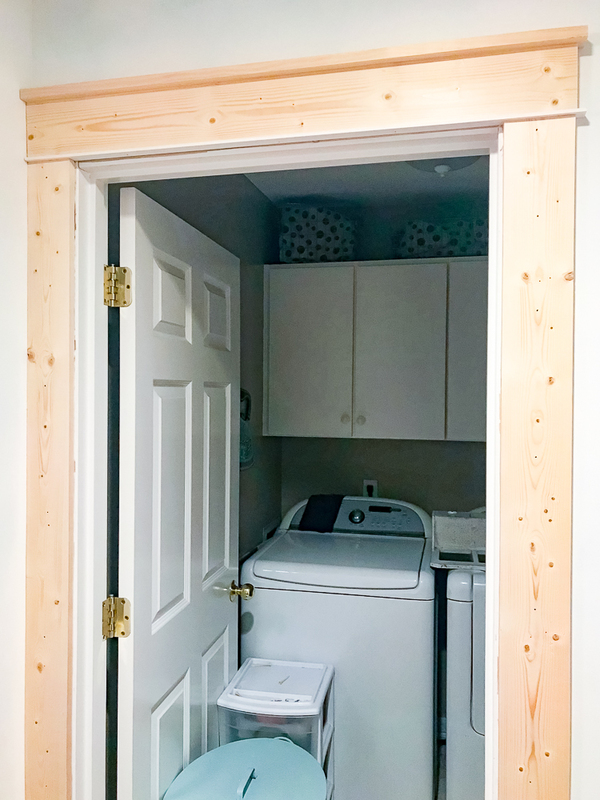 And currently, I’m working on the mudroom (as I mentioned before). 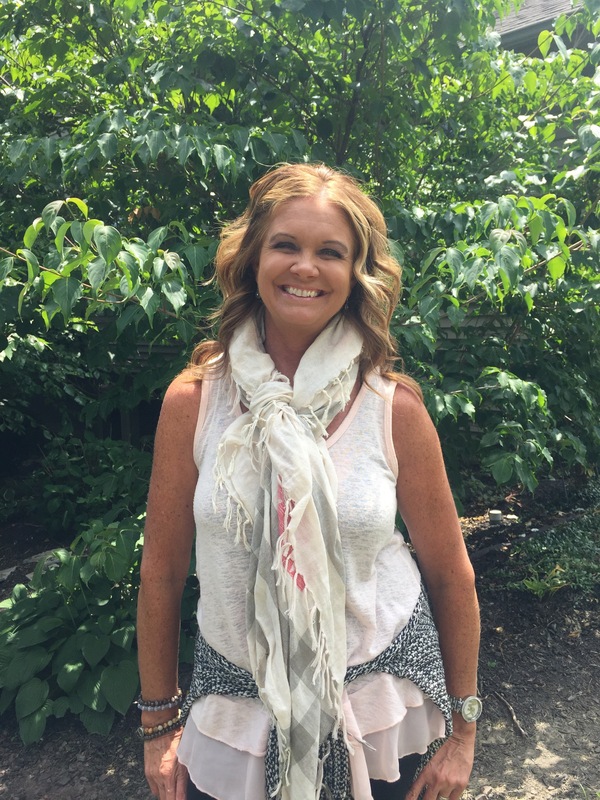 I’ll be sharing that with you in upcoming posts. 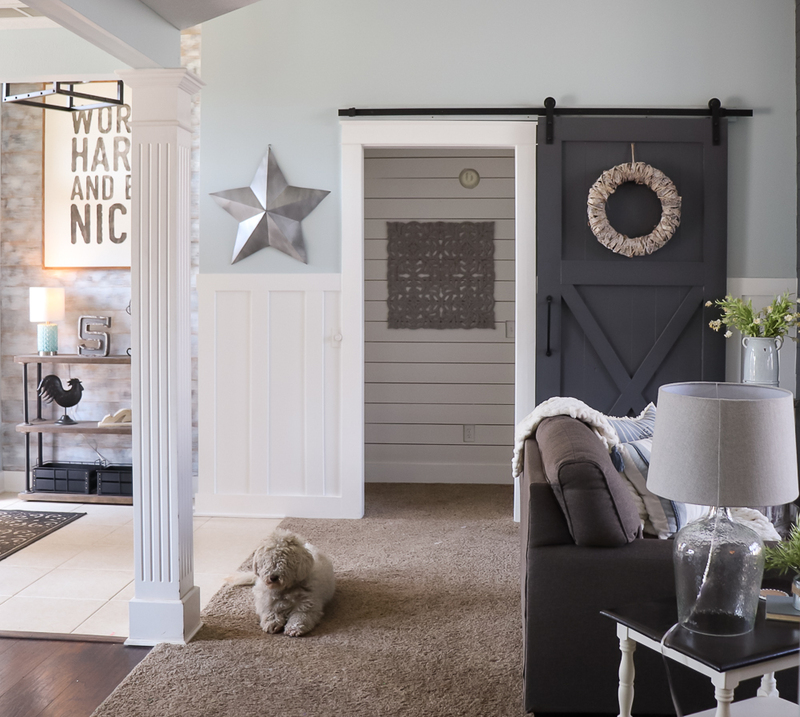 But for now, let’s get into just how easy this craftsman trim transformation really is. 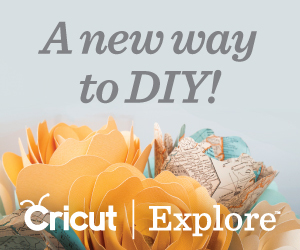 First, I use my exacto knife to cut a thin line where the trim and wall meet. 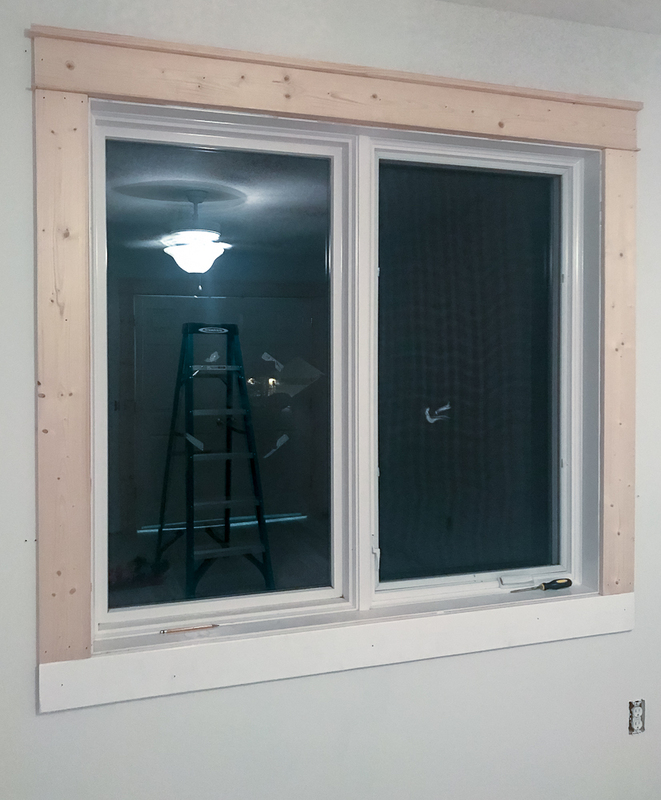 For door and window trim, I also cut where the trim meets the frame. 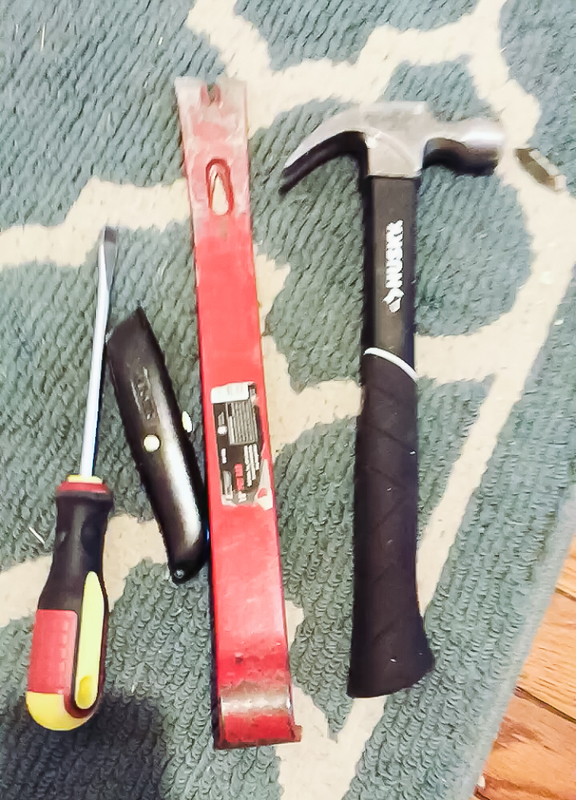 I then use my hammer to pound my flathead screwdriver behind the trim piece. This opens up space between the wall and the trim piece, allowing my crowbar to get in there. 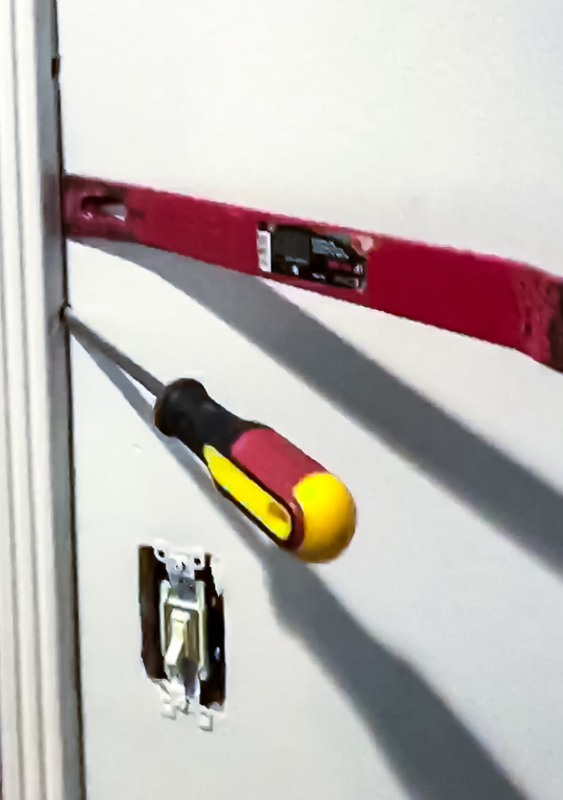 With my crowbar, I pull back and start shimmying the trim away from the wall. 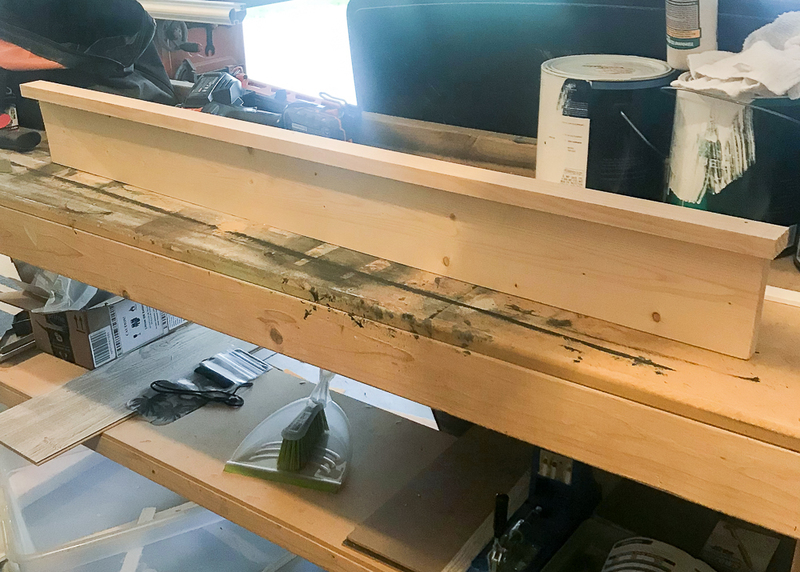 I repeat this method all the way down the length of my trim piece…pulling it away from the wall until it is completely separated…. Next, I remove any leftover nails and with my exacto knife I trim off any bulky paint or caulk leftover. 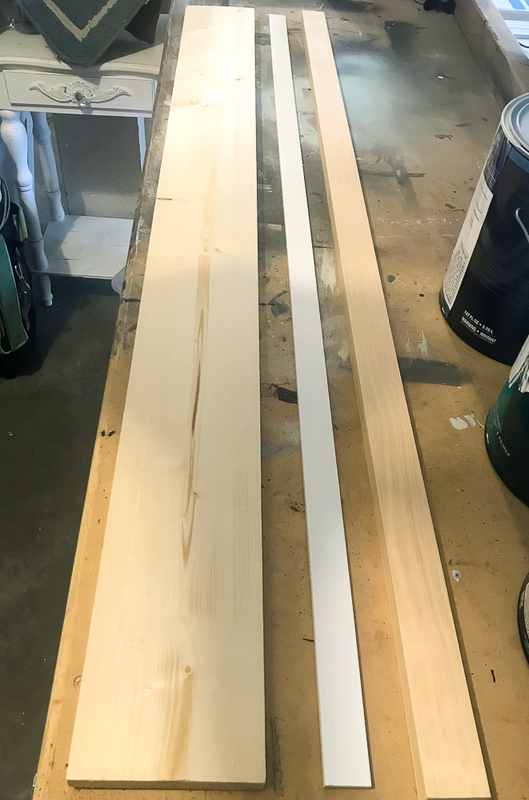 This allows a smooth surface for placing my new boards. But really it’s personal preference. 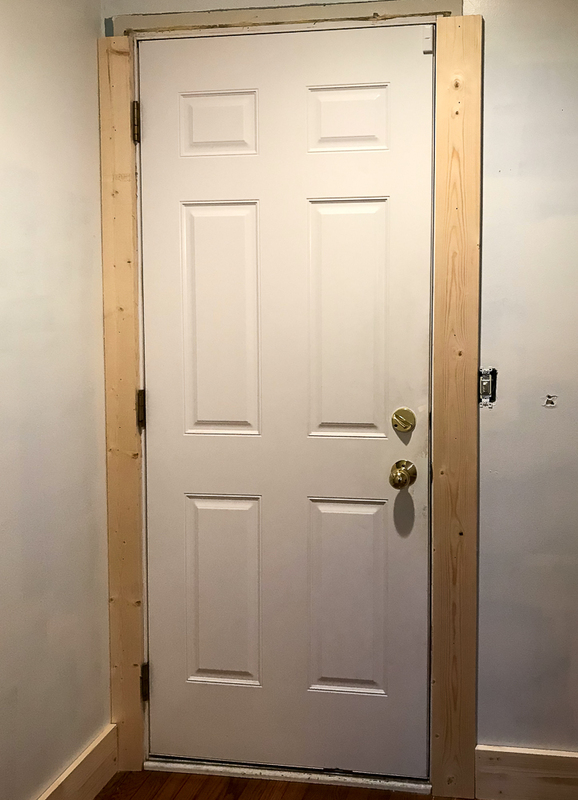 I always start with my door frames first, then I add my baseboards. 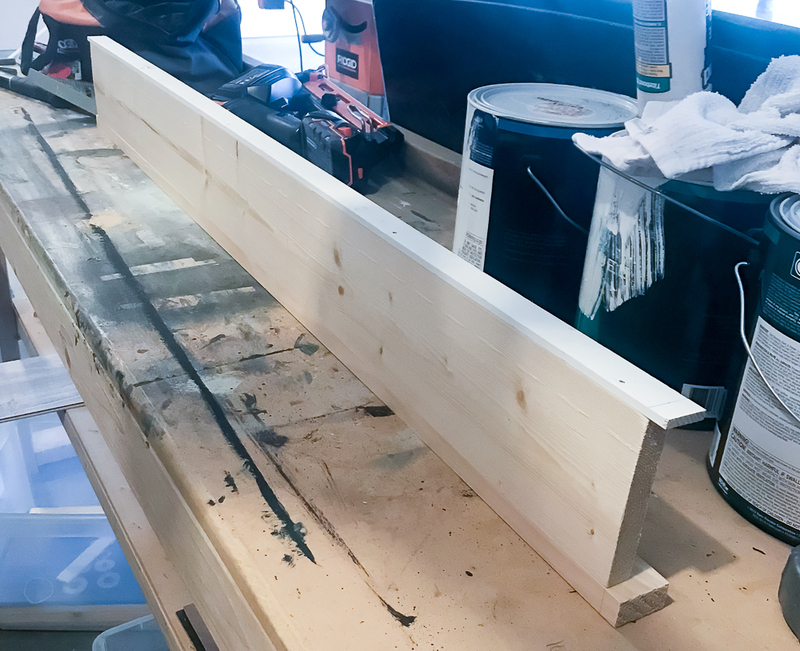 Using a nail gun, attach side boards first. 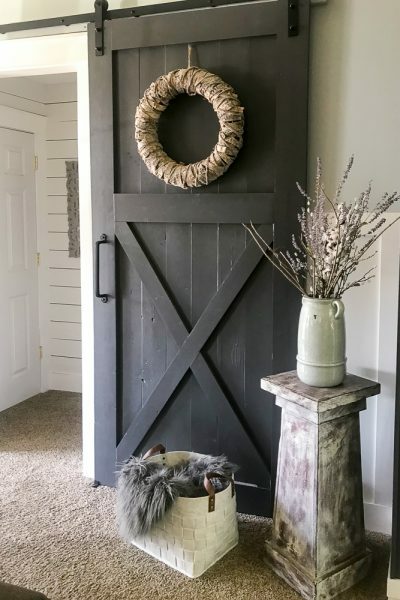 Cut both boards to fit from floor to top of door or entryway…. I have found that it is best to build your topper first and then attach it to your door/window frame. 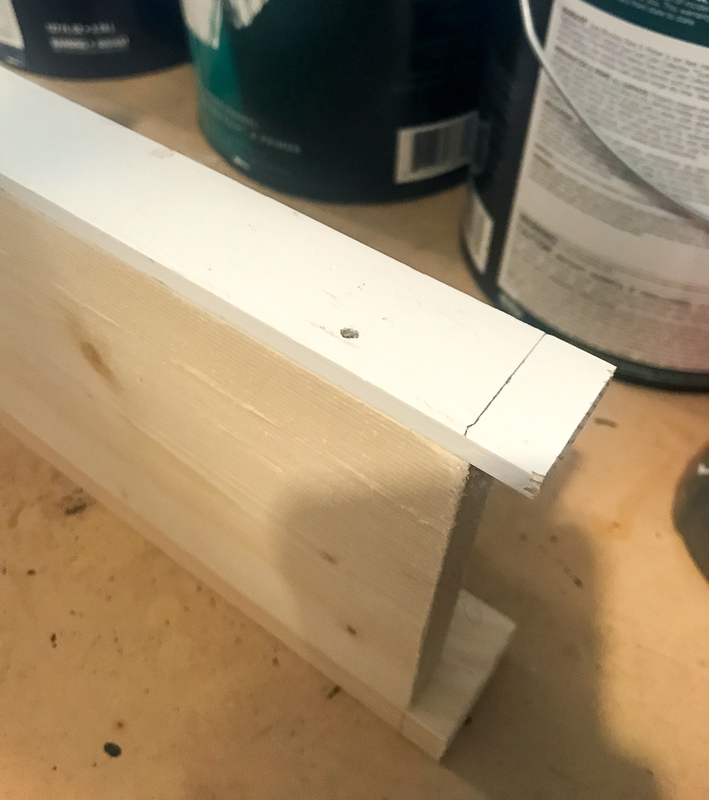 First, measure the length from the far side of your side board to the far side of the other side board. Then cut your 1×5 to fit this space. Next add one inch to your measurement for the 1×5 you just cut and cut your stop strip and 1×2 board. 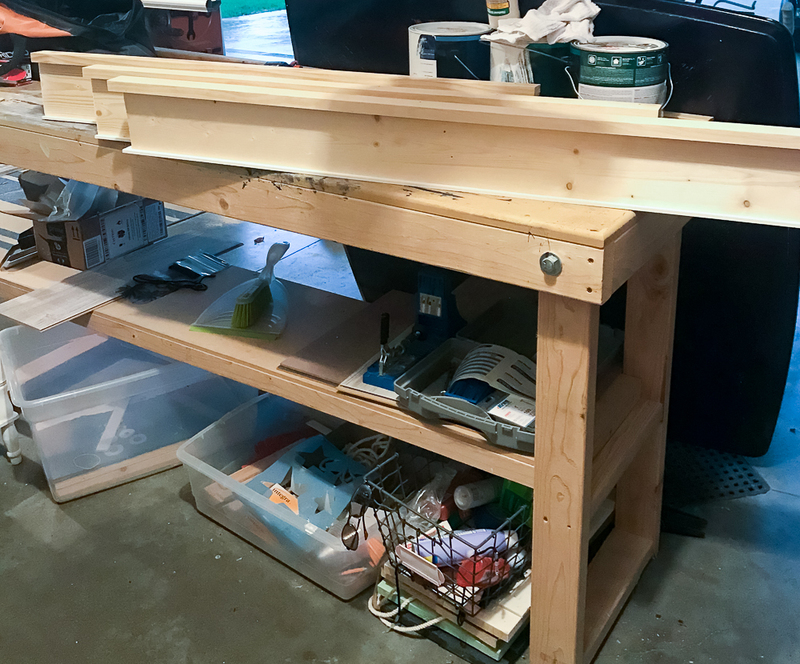 (For example, if your 1×5 is 33″ long, you’ll cut your stop strip and 1×2 board 34″ long). Now you’re ready to assemble your topper. 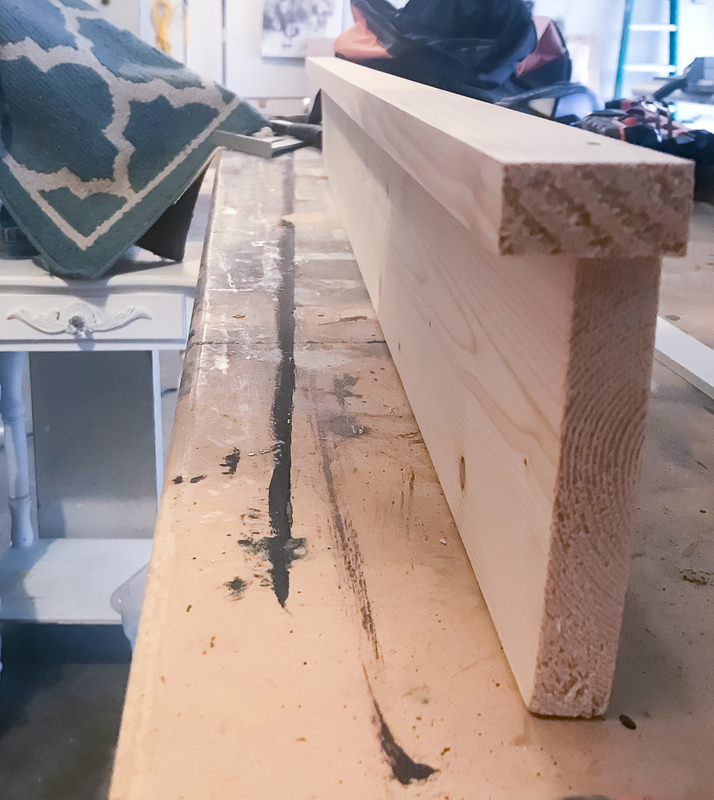 Attach the 1×2 to the 1×5–allowing for a half-inch overhang of the 1×2 on both ends. Also note, the back of the 1×2 should be flush with the back of the 1×5. 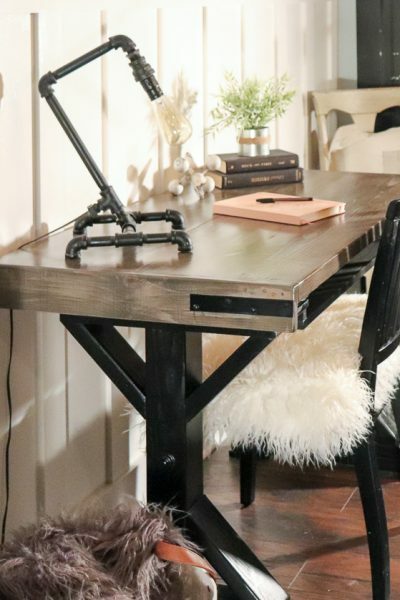 (See picture below) Attach using wood glue and nail gun. Then attach stop strip to the other long end of 1×5–allowing for a half-inch overhang of the stop strip on both ends. And again, also note, the back of the stop strip should be flush with the back of the 1×5. (See picture below) Attach using wood glue and nail gun. Line up topper so that stop strip is sitting on top of sideboards and hanging over about 1/2 inch on both ends. Attach to wall with nail gun. 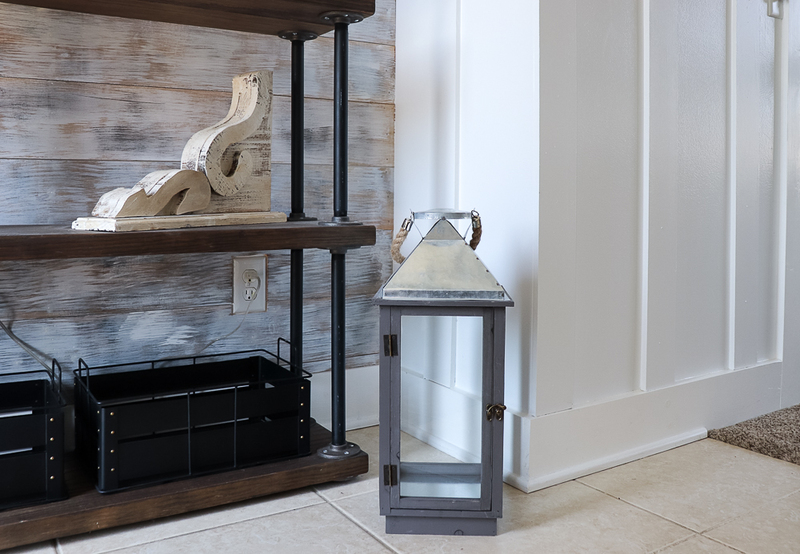 (Note: the topper below butts up to a corner wall, therefore, there is only overhang on the right side and not in the corner). (Sidenote: This same technique is used for windows too. The only difference is: add a bottom 1×5 board that measures the span of both sideboards). 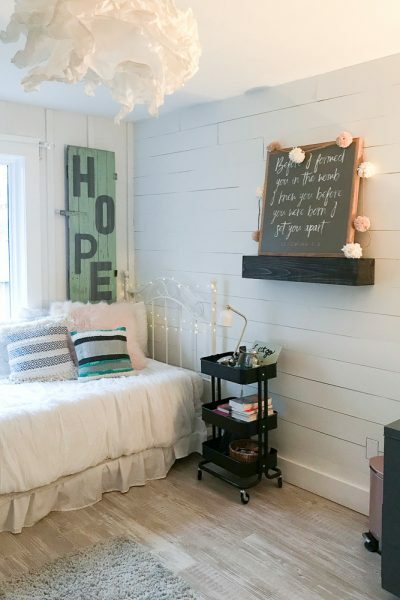 Cut your 1×6 boards to fit, trimming out the entire room. 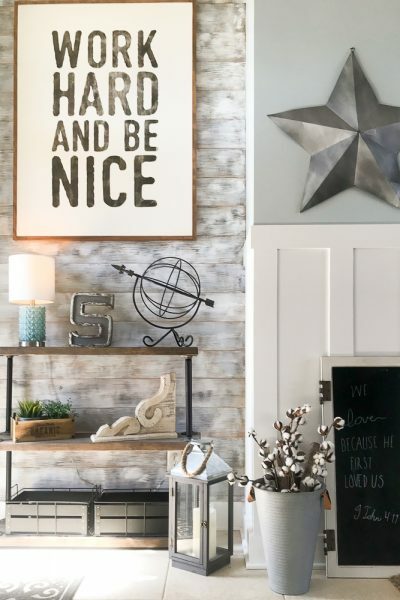 Attach each board as you go using a nail gun. Speaking of caulk, that’s our next step and we are almost finished!! Run caulk along all of the seams. 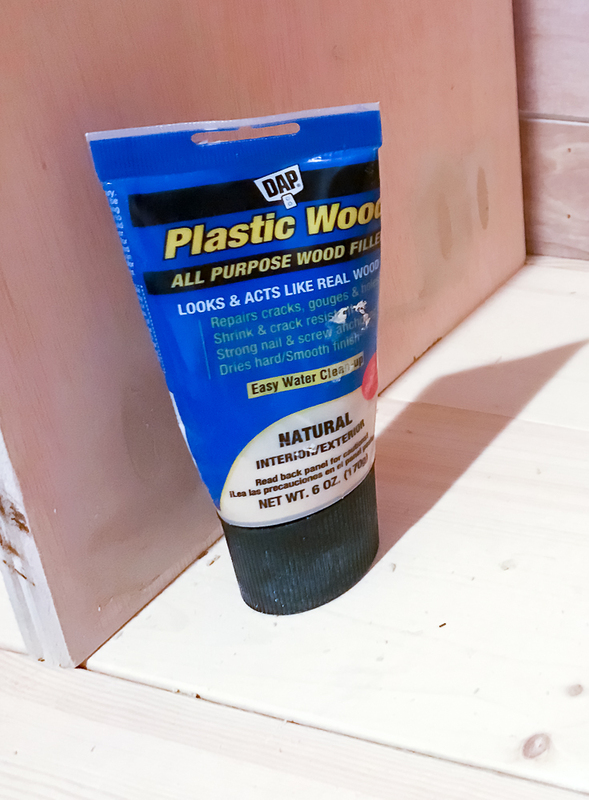 If you’re unsure of how to do this, check out my Caulking Tutorial here. Last, and definitely the best part, is PAINT!!! 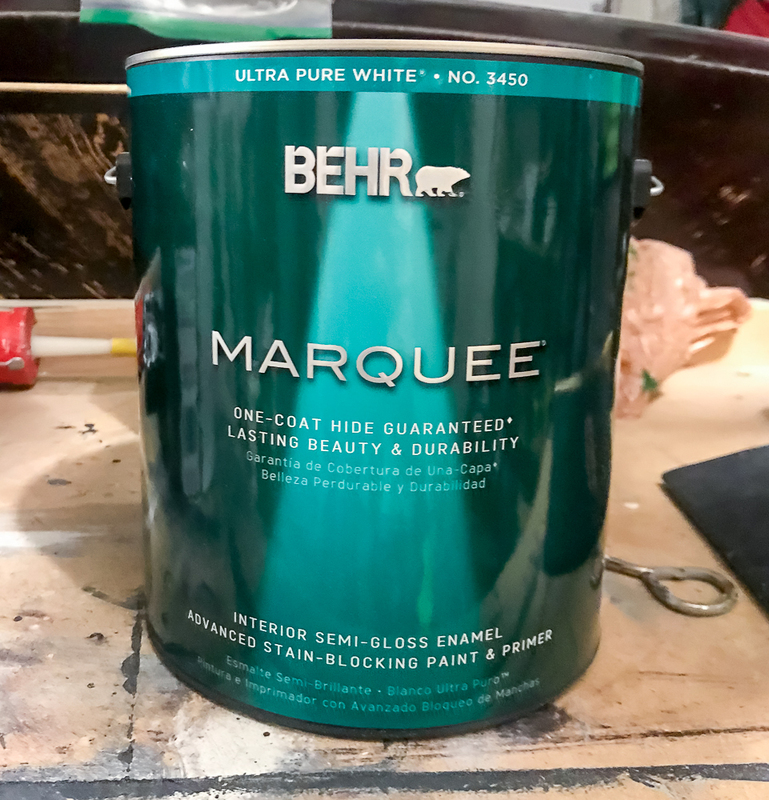 I use this paint for all of my trim: Behr Marquee Ultra Pure White, Semi-Gloss. Hopefully you found this to be as easy as I did my first time trying it. Let me know!! Feel free to drop me any questions or comments through my email or below. 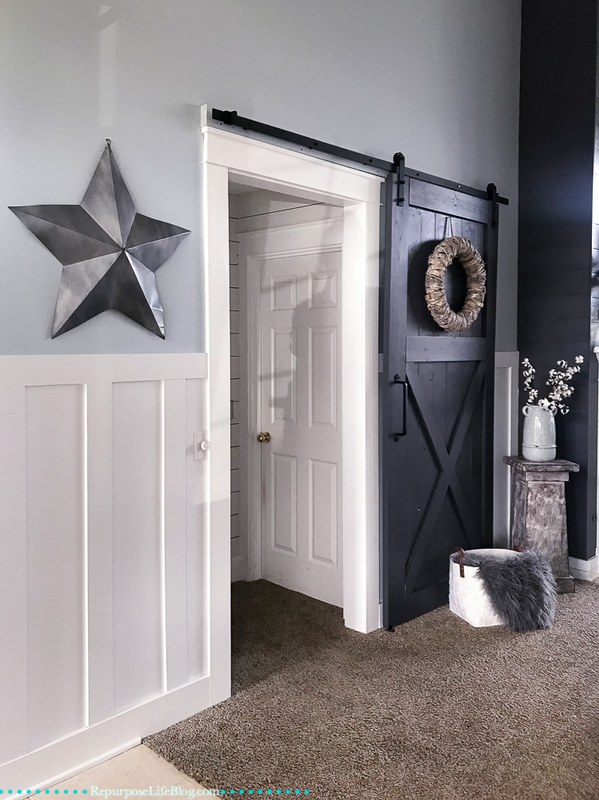 Look for my mudroom makeover post coming soon!! You can check out my progress over on Instagram in my stories. 🙂 And be sure to subscribe below to my newsletter, so that you don’t miss it.